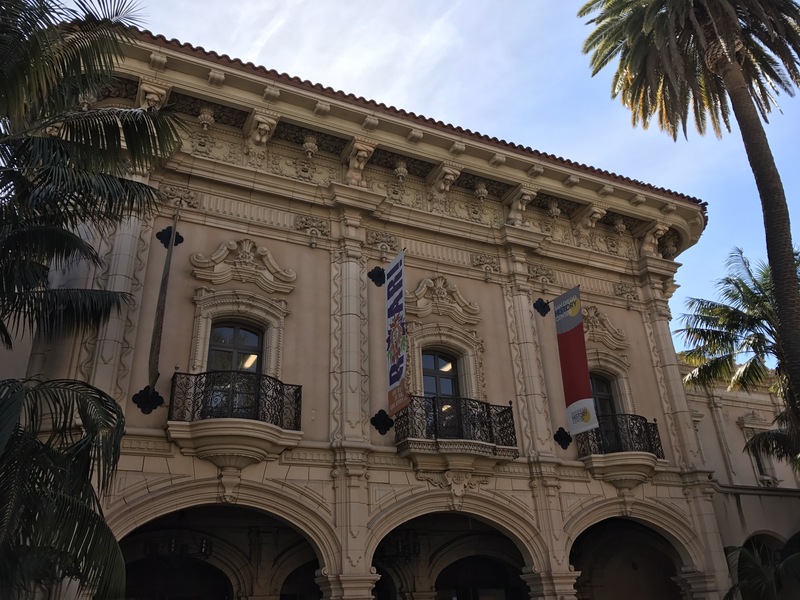 San Diego – Live MoHo! Our home for a while in San Diego is actually south of downtown in Chula Vista. Specifically the Chula Vista RV Resort and Marina. 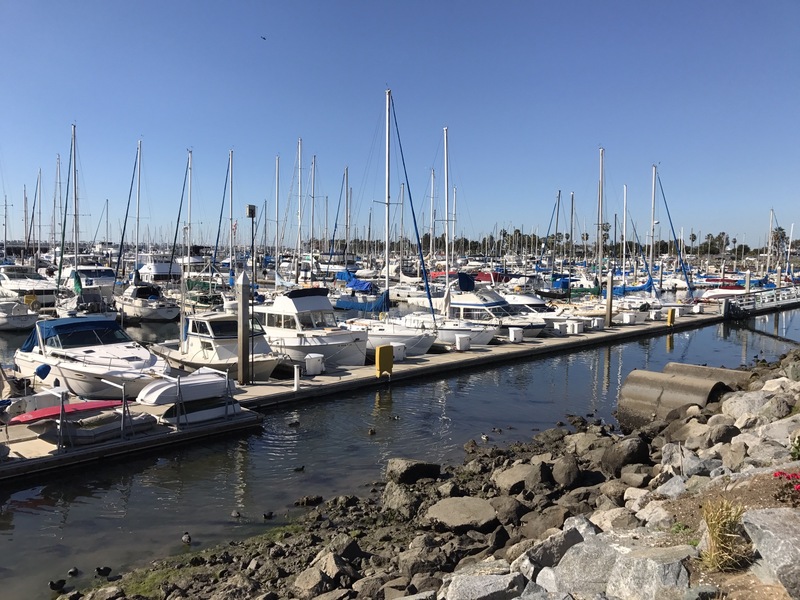 The marina is right next to the RV campground and is one of the nicer marinas we have seen. 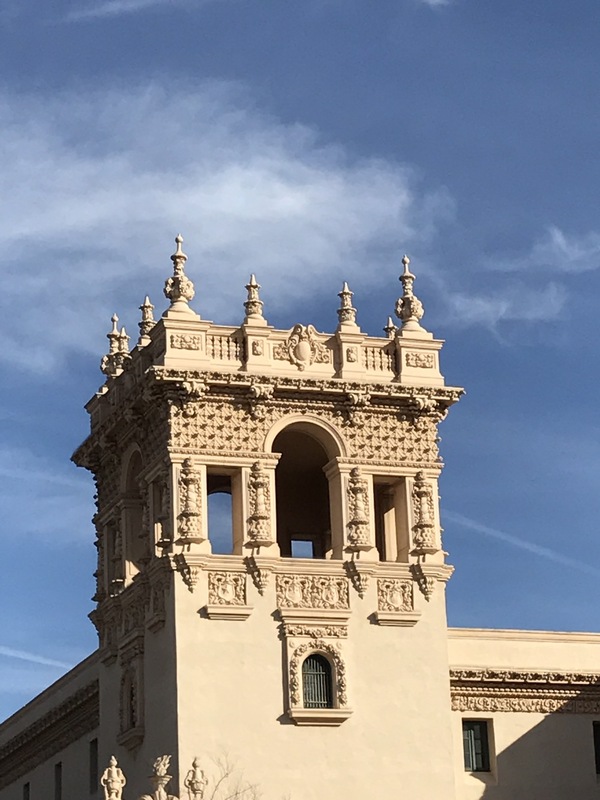 San Diego has so many interesting things to do and see that it is almost overwhelming. Fortunately, we had been here many times before and so we set out to see new areas as well as older ones. 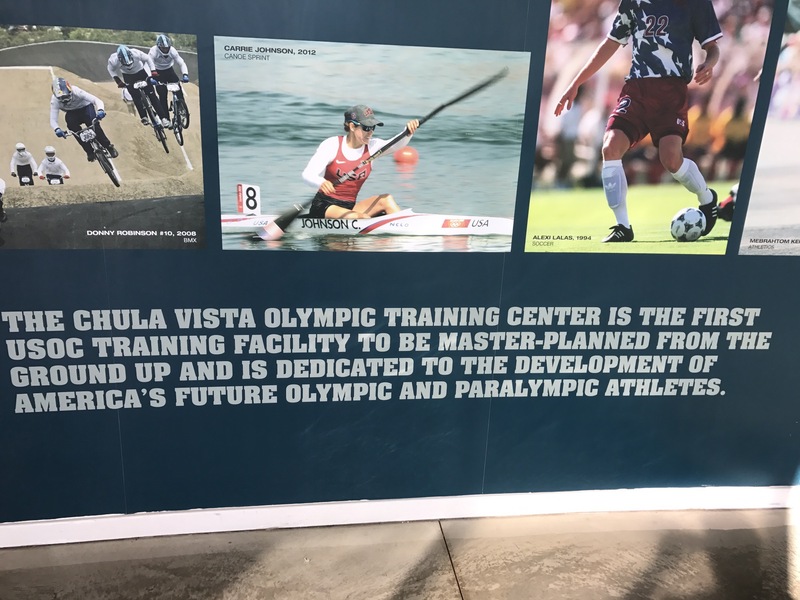 One place we had not seen was the Chula Vista Olympic Training Center. 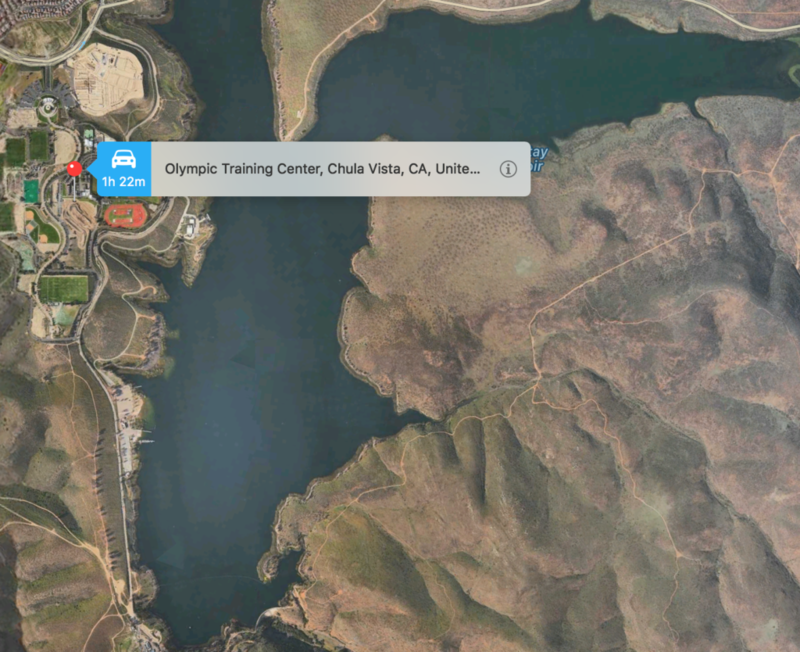 It is located high in the foothills with a commanding view of Otay Lake and the mountains beyond. It also has a commanding view across the border into Mexico. The entrance is definitely Olympic-themed. Tall columns flank the main doors with flagpoles all around, ready to hoist the standards of their country. I did not realize that BMX was an Olympic event, but apparently it is. 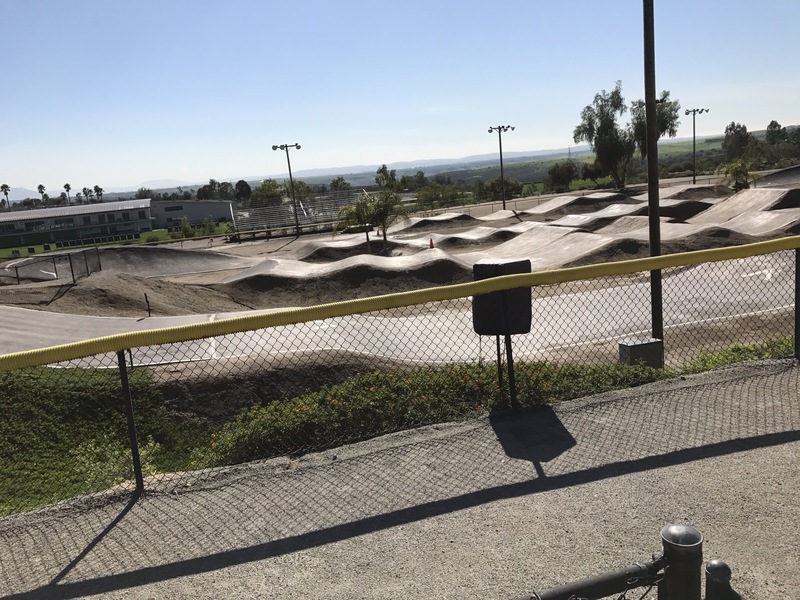 The training course was silent when we visited but we could imagine riders flying over these bumps and dips on their shiny bicycles, popping into the air and doing tricks for the judges. 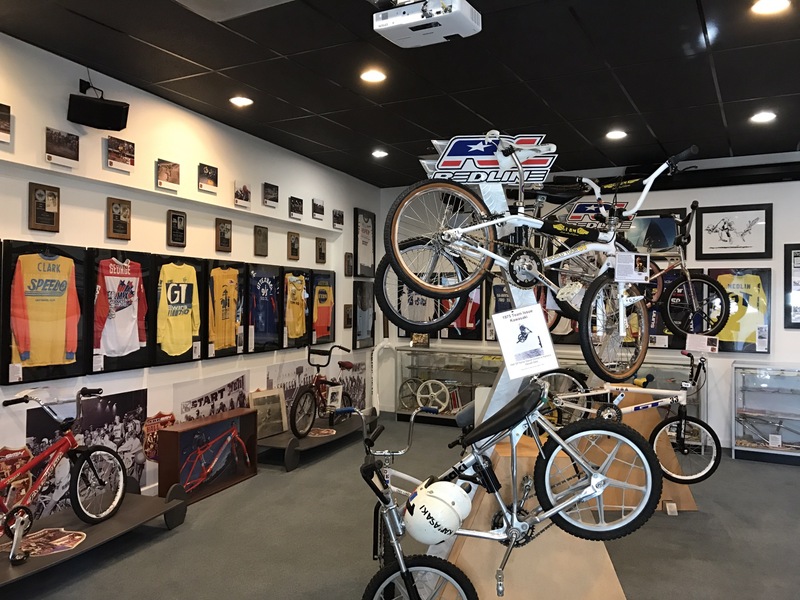 Inside the center was a small “museum” that housed the jerseys and bikes from some famous Olympic BMX’ers. Well, famous to other BMX’ers, anyway. I suspect the rest of us have never heard the names of these athletes. 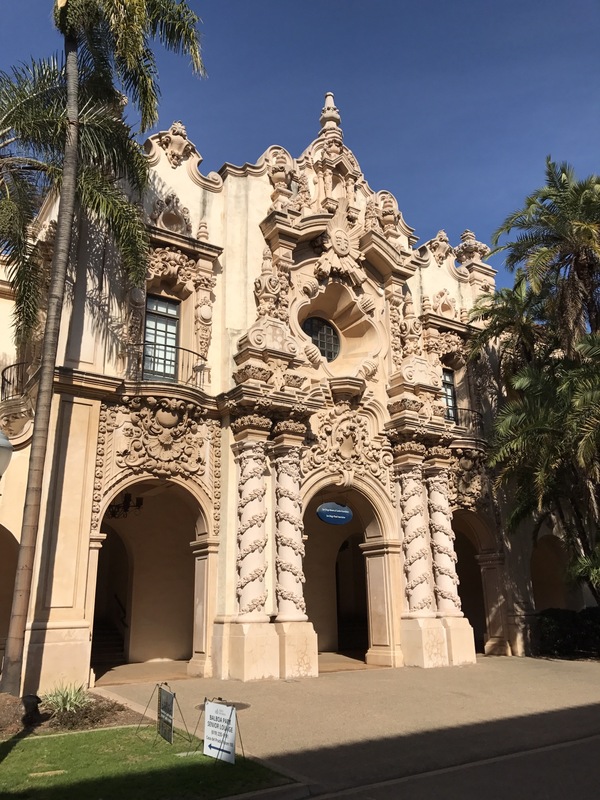 Balboa Park is a wonderful place and no visit to San Diego can be complete without a stop here. 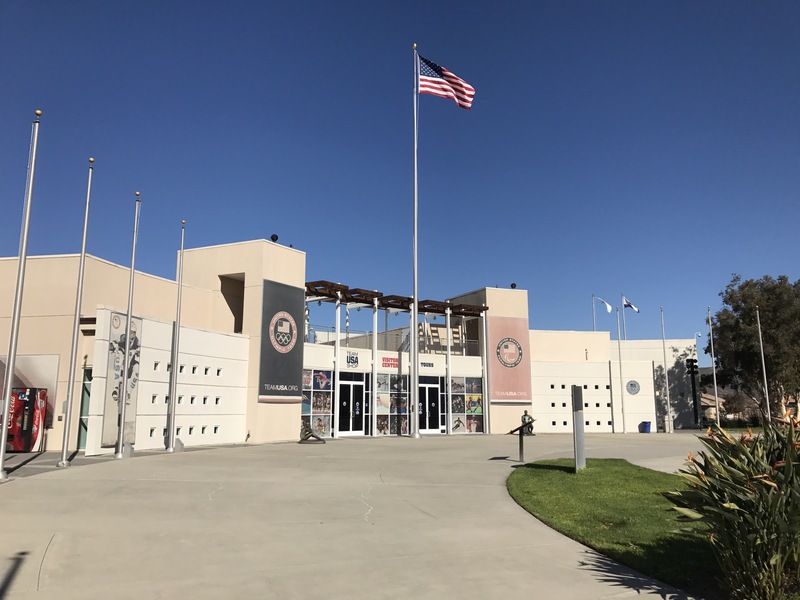 Home to the worlds finest zoo, an aerospace museum, an auto museum, various art and photography museums, a natural history museum, a technology museum, Japanese tea gardens, a botanical garden, fountains, and of course even the model railroad museum. The architectural style is very impressive. I’m sure there is a name for it, but I don’t know that name. It looks like a combination of Spanish-inspired and art-deco. Whatever it is called, it is very pleasing to my eye. 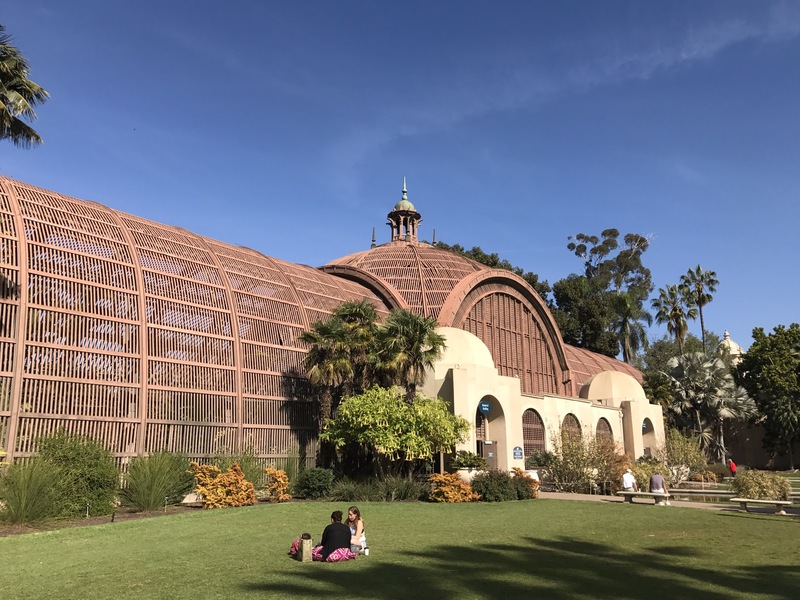 Balboa Park is home to a massive pipe organ – the Spreckles Organ Pavilion. 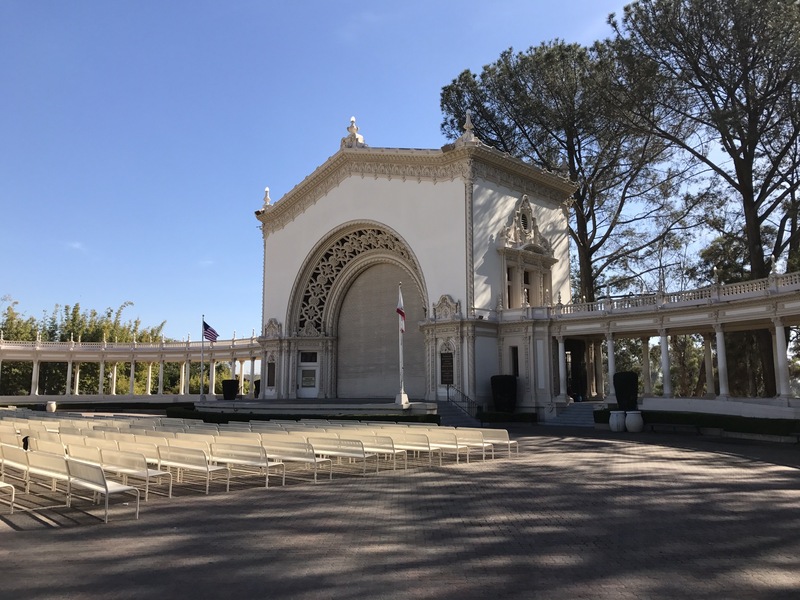 One cool factoid about performances here relate to the fact that Balboa park is almost directly under the landing path for aircraft arriving at Lindbergh Field. There are lights visible to the performers which turn from green to yellow to red notifying the impending arrival of an aircraft. Just as the aircraft seems to come out of nowhere and is about to land on the audience, the performance pauses! It picks right back up in 30 seconds or so like nothing happened. 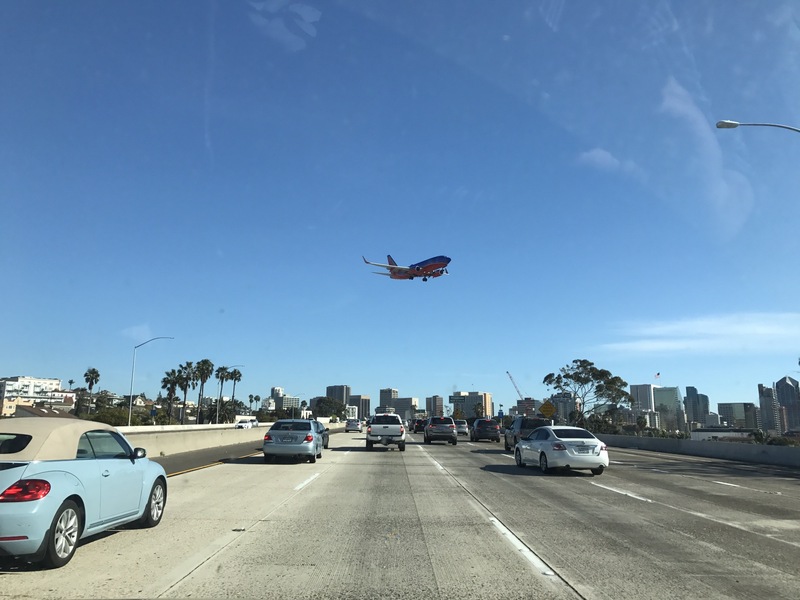 Here is one of those famous San Diego landings viewed from the highway. Balboa Park is ahead of us and to the left. One of my personal favorites is the semi-outdoor botanical garden. 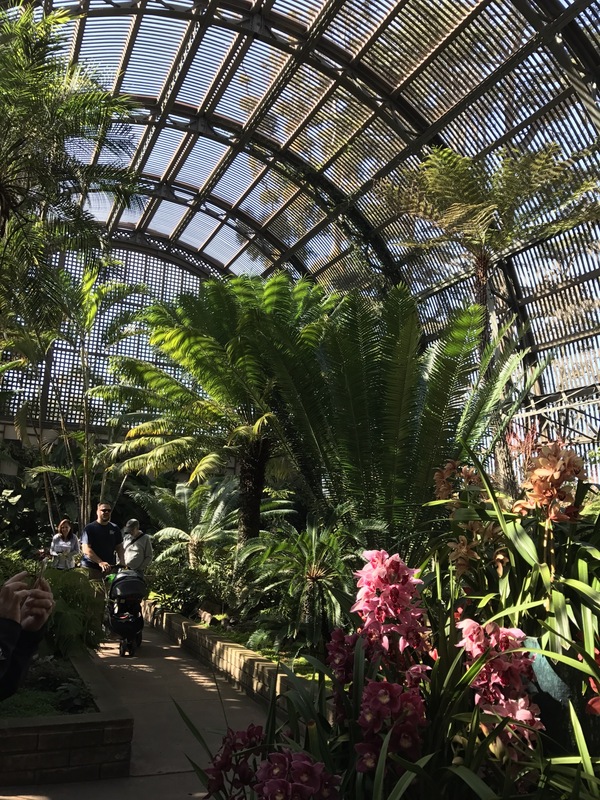 Given the temperate weather, plants grow year-round in this building which has a roof of wooden slats. 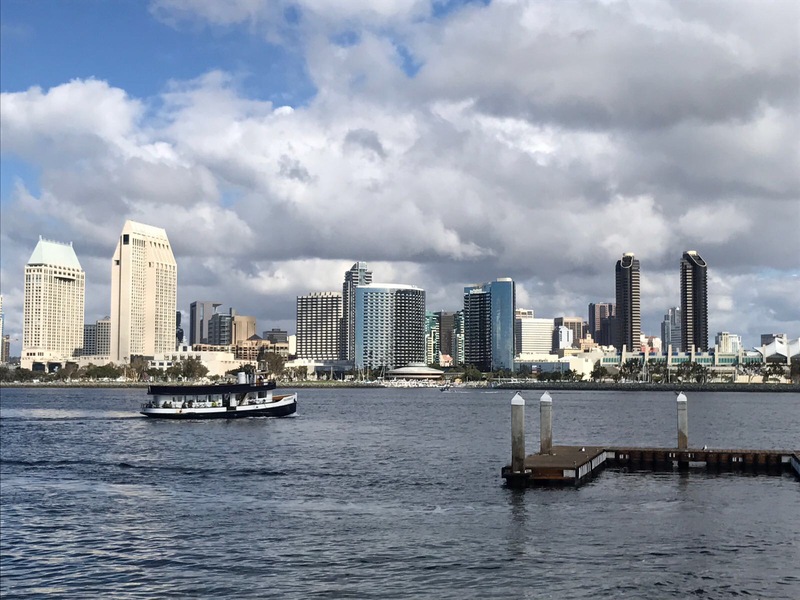 San Diego is generally acknowledged to have the best weather in the continental US and is routinely in the top 10 weather lists for the entire planet. Inside the building lush greenery surrounds visitors, providing a lush oasis inside a busy city. Orchids are on display everywhere. The picturesque building below houses several exhibit spaces. The main and upper floors are a photography museum. The lower floor is the model railroad museum. 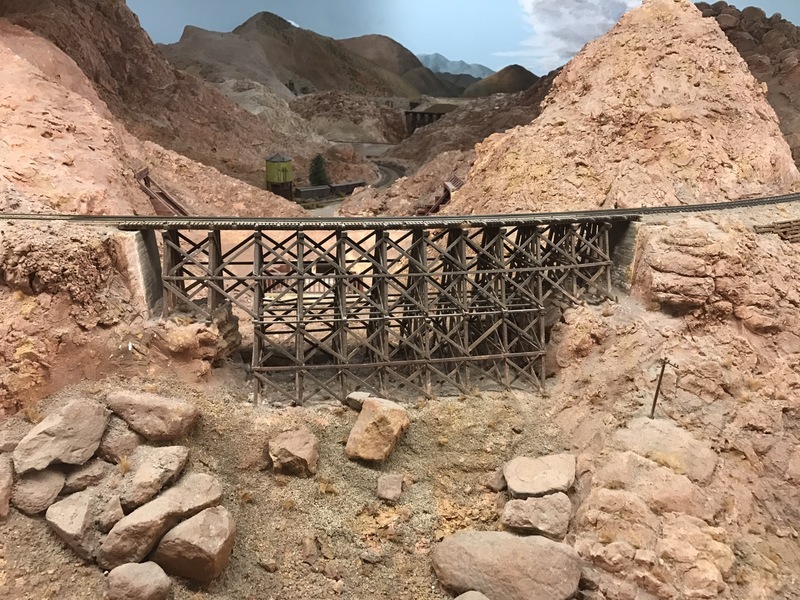 The model railroad museum is one of those “biggest ball of twine” type of attractions that we specifically wanted to see on this trip. It is wonderfully throwback and odd, stuffed into the basement of the museum and operated by volunteers. Most of whom look about as old as the railroads themselves. The museum itself is over 27,000 square feet. Easily making it the largest of its kind in North America and arguably the largest in the world. 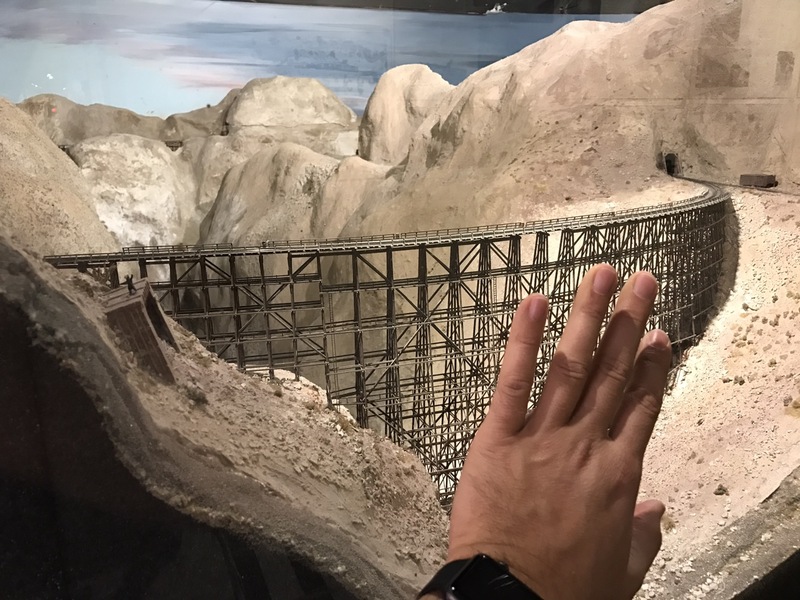 Model railroads first made their appearance in 1935 for the Pan American Exhibition but the current museum opened its doors in 1982. since then over 3 million people have visited. Displays are wonderfully handcrafted and full of details. At first glance, this street could be in a real town. Only the tops of the walls give away the fact that it is just a model. 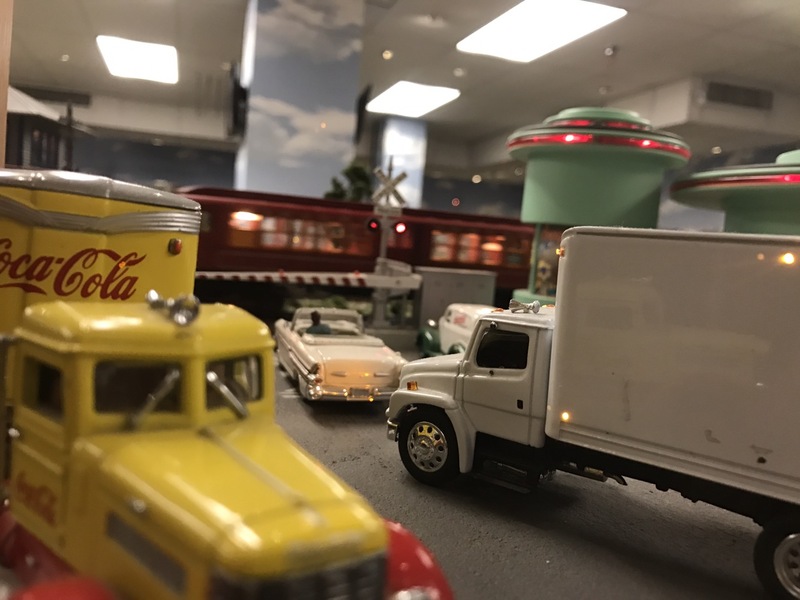 Many railroad and miniature museums have intricate small scenes. 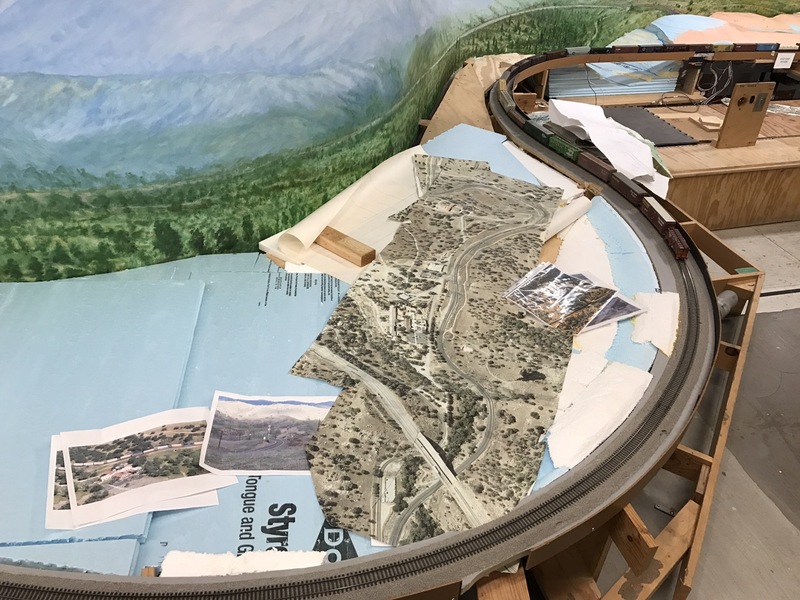 Few have the expansive spaces that the California Model Railroad museum does. This massive – yet tiny – trestle was painstakingly handbuilt over a period of years. Another example was this canyon and smaller trestle. 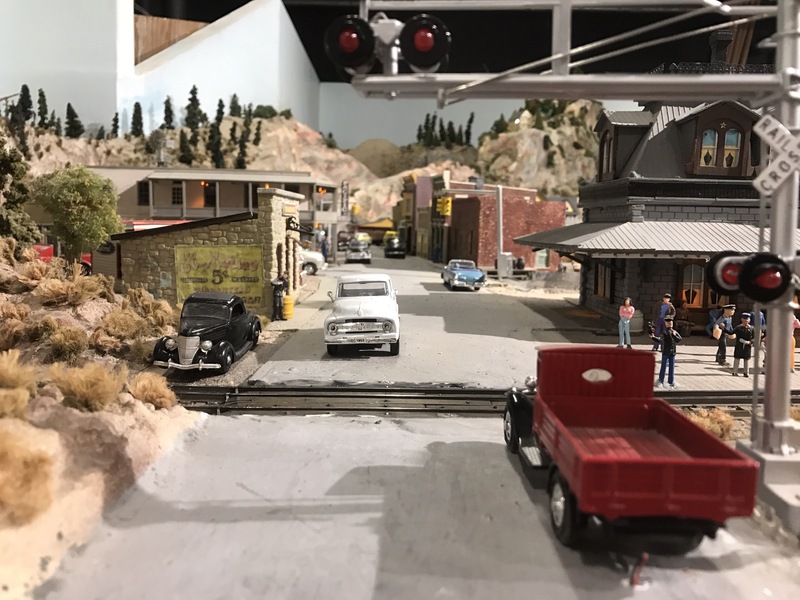 Not only was the trestle handbuilt, the entire scene was handbuilt. Someone hand-placed each and every pebble and grain of sand in this display! Upstairs, new exhibit space is taking shape. Slowly but surely the volunteers are building a replica of an actual location. The building techniques haven’t changed, but the layout process sure has. 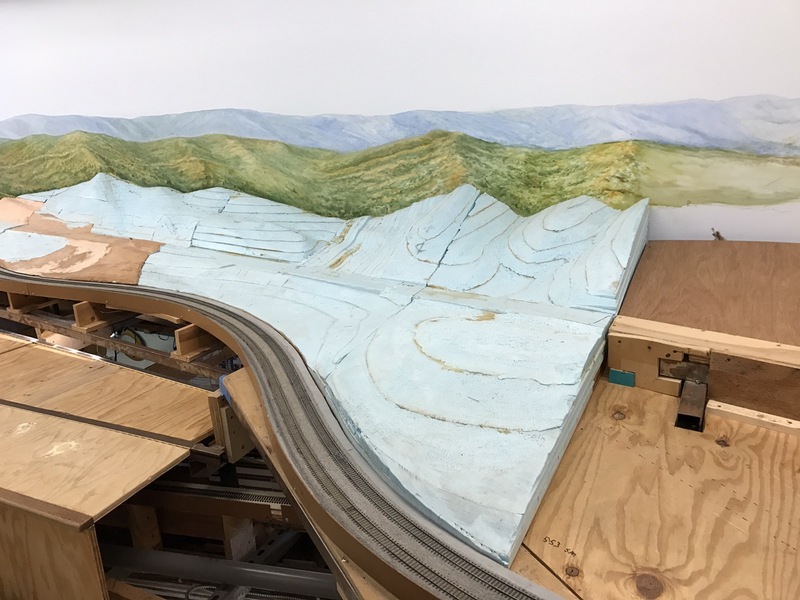 This area is using Google Earth images to help the models capture the details. I’m not sure how they did it in the past other than some old photos. 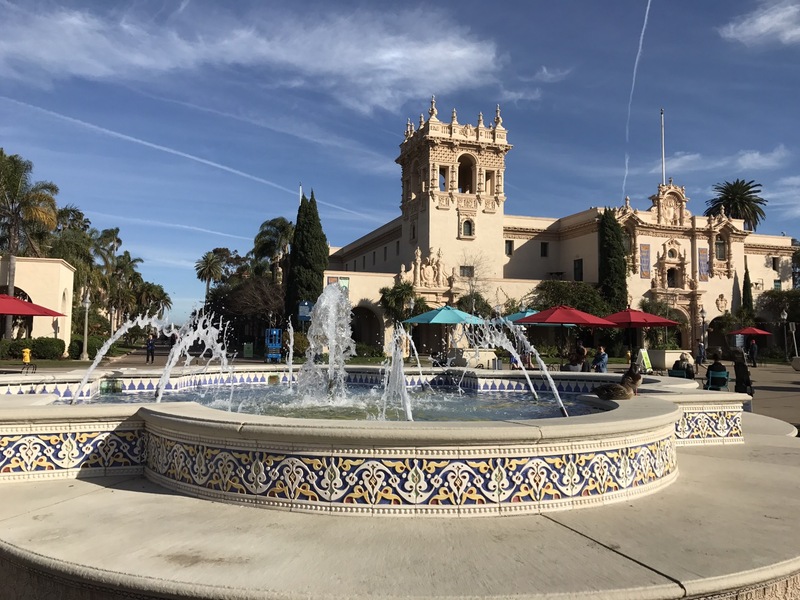 The Main Street in Balboa park is called the Prado and it has majestic fountains at both ends. Architecture along the Prado is quite attractive. Each building is unique but shares a common design language. 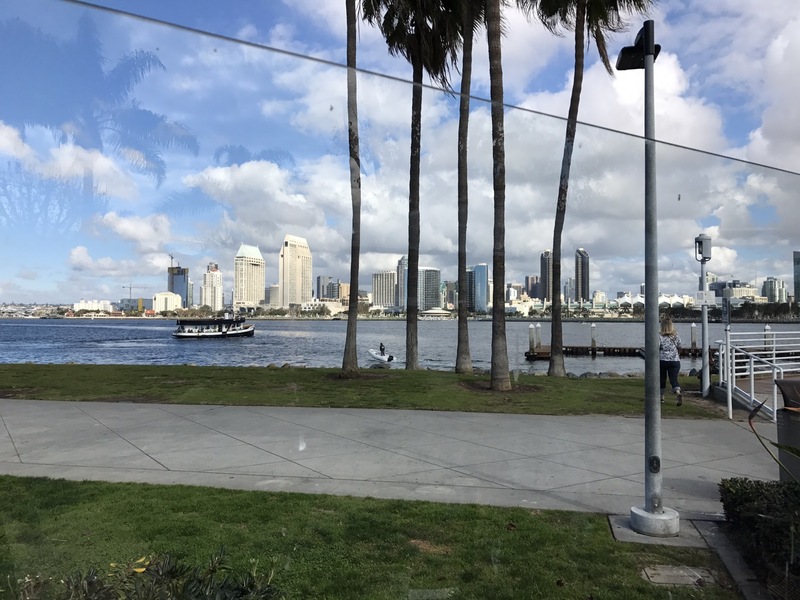 San Diego itself is often best viewed from across the narrow bay in Coronado. Coronado is home to an eclectic mix of retired military officers, millionaires, artists, and beach bums. All competing with the ever-present tourists who flock to Coronado. Housing in Coronado is even more expensive than in San Diego. I will have more about San Diego in the next blog entry.